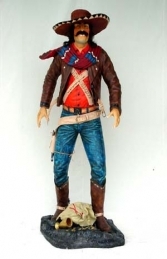 This 6ft Cactus model is a great prop to add to a wild-west or mexican theme amongst our life-size Cowboy figures or to give interest, colour and height in a desert scene. 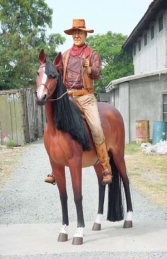 Placed with our life-size cowboy models these 6ft Cactus models can be used to huge effect in any Wild-West area from themed pubs and restaurants to crazy-golf and theme park rides. The Cactus is also available in a 3ft version (JR 1376). They are a fantastic way to draw attention to a business or add atmosphere to a party!